Kyle even lowkey looks like a snack in that photo. Amazing how subtracting Cara and adding Da'Vonne equals QUALITY. Her power. Her mind. It amazes me. I guess she was scared he was back on Bumble. "She had a leg injury a year ago! She lost 20 lbs!" Kyle with Cara? 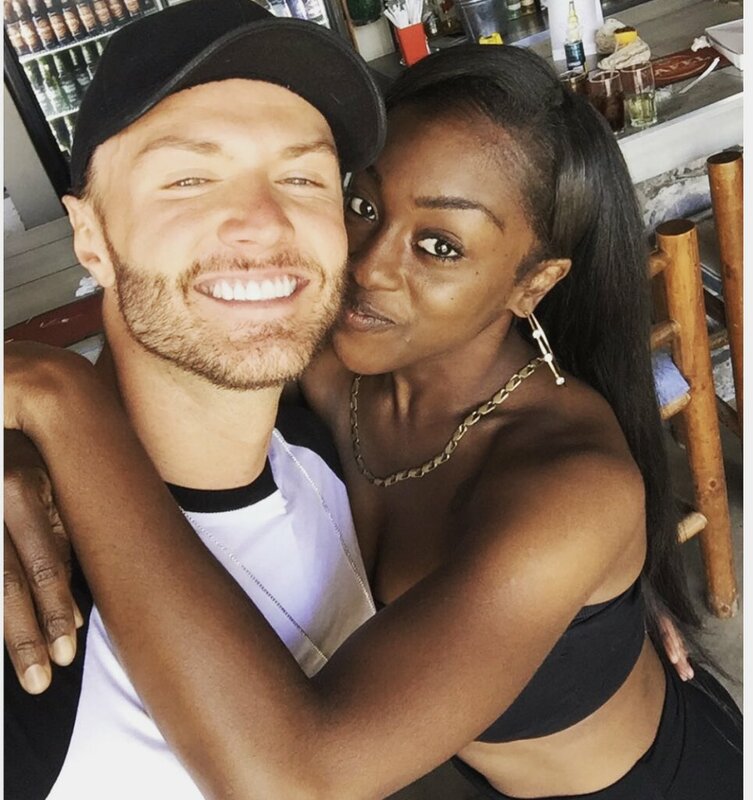 Unlikable.Kyle with Da'Vonne? Likable.Kyle even lowkey looks like a snack in that photo. Amazing how subtracting Cara and adding Da'Vonne equals QUALITY.Her power. Her mind. It amazes me. Oh you know the usual. Coming through with the excuses like "Day is bigger, Jenna's ankle still injured". i think cast members need to stop fueling the fire with these twitter stans. She is way bigger than i thought...she is taller than Jenna. I don't want her to do another season, I'm worried she'll be targeted right off the back..but then again, she's very likeable & seems to have had a strong social game this season because majorityof the cast really likes her. Sis is making enemies out of a few "strong" competitors..Kam, Cara, and Bananas etc..I'll throw Wes in there as well. If we see her back for another season, it could either go really good or really bad IMO. I think she'll be fine. She is genuinely liked by everyone so would probably make it at least halfway because of that alone and on top of that she seems to be super loyal to her circle. If she wasn't attached to Bear she proably wouldn't have seen eliminations yet IMO unless she was called out. I don't even know if they'll have her back after this.. it legit feels like they've cut her out the episodes.. I may be exaggerating but they didn't even give her thoughts on Paulie vs Kam.. not one confessional about going solo.. she should've been the first one to say something..
Have we been watching the show? I feel like this was the first episode she wasn’t the star. Her team wasn’t in the tribunal and weren’t eligible for elimination. It makes sense that she wasn’t a big part of tonights edit. Lol like I said, I may be exaggerating.. but I guess you're right.. that makes sense. Queen should be the new face of the show. She deserves everything good ❤️ Queen should be the new face of the show.